This recipe looks good and tastes great. Its also formed as a mushroom since right now it is mushroom season. 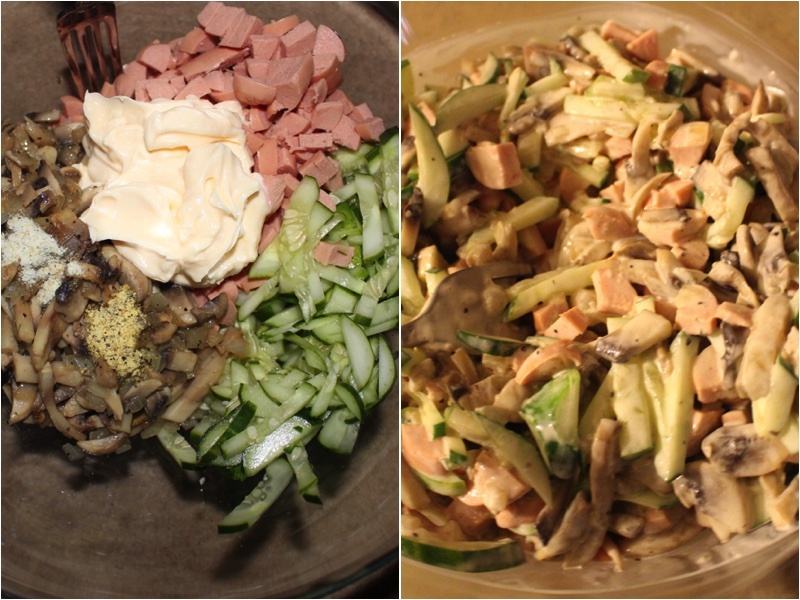 This salad is composed of many vitamins, healthy ingredients and protein. 1.) Wash, dry, and cut your cucumbers, sausages, mushrooms and onions. In a hot oiled skillet fry your mushrooms and onions for 5 minutes. Also shred your carrots and white part of your eggs for decoration. 2.) Cool your fried mushrooms, and place them in a bowl with your mayonnaise seasoning and the rest of your ingredients. Also mix well. 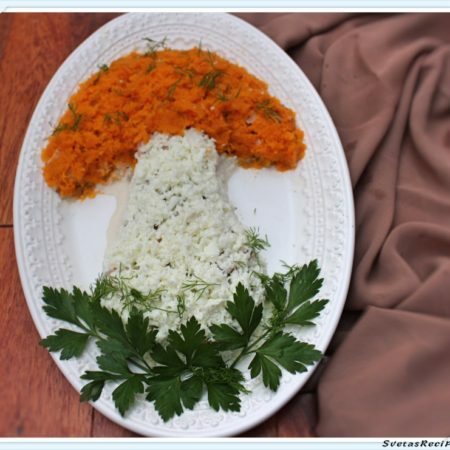 Put in a serving dish, decorate into a mushroom like seen in the picture and enjoy! 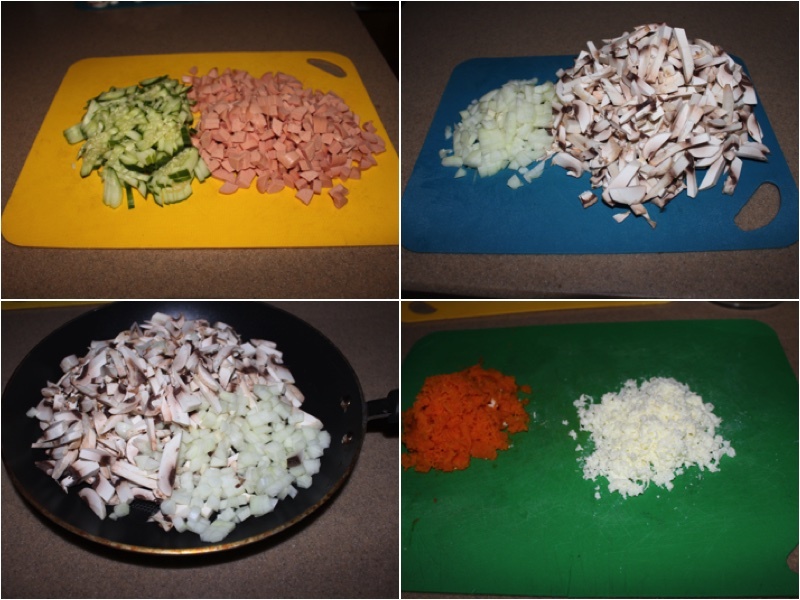 Wash, dry, and cut your cucumbers, sausages, mushrooms and onions. In a hot oiled skillet fry your mushrooms and onions for 5 minutes. 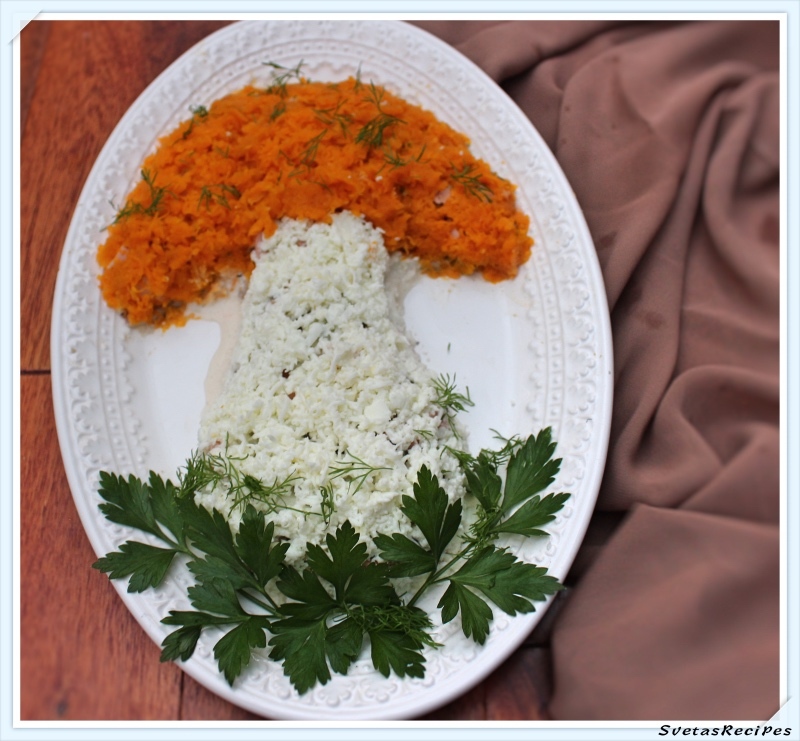 Also shred your carrots and white part of your eggs for decoration.
) 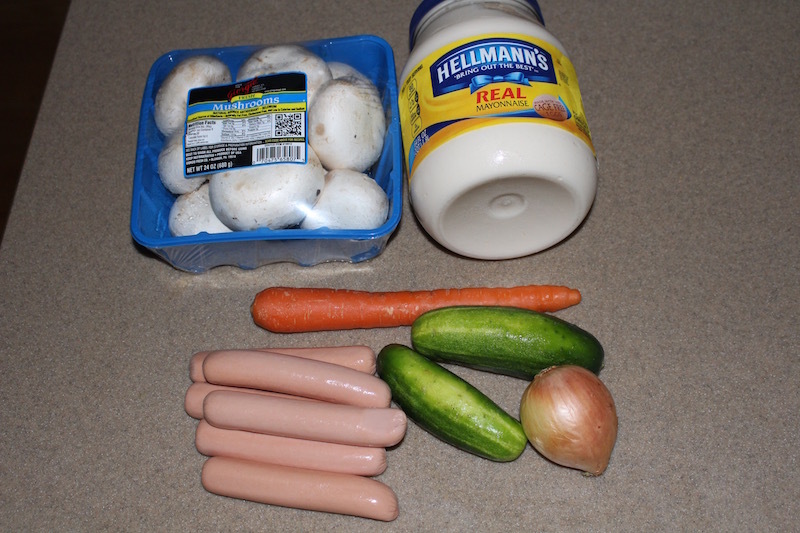 Cool your fried mushrooms, and place them in a bowl with your mayonnaise seasoning and the rest of your ingredients. Also mix well. Put in a serving dish and enjoy!